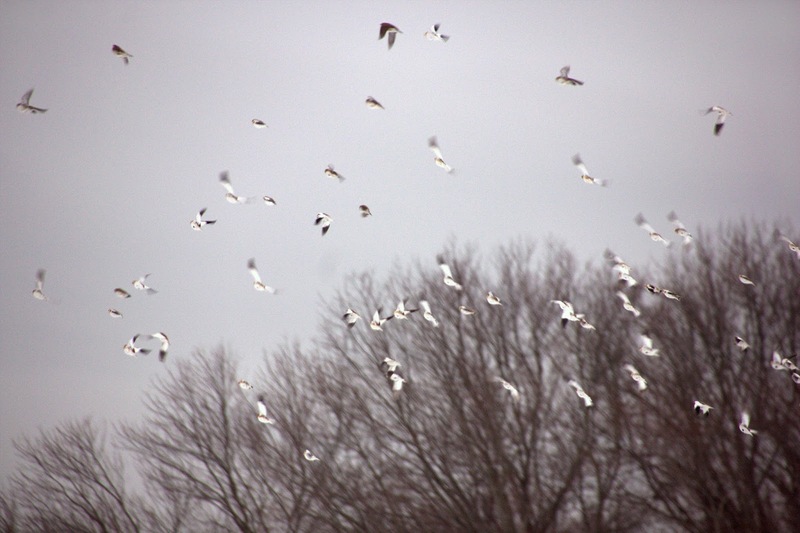 Joy is a flurry of snow buntings reeling overhead on a late, gray January afternoon. 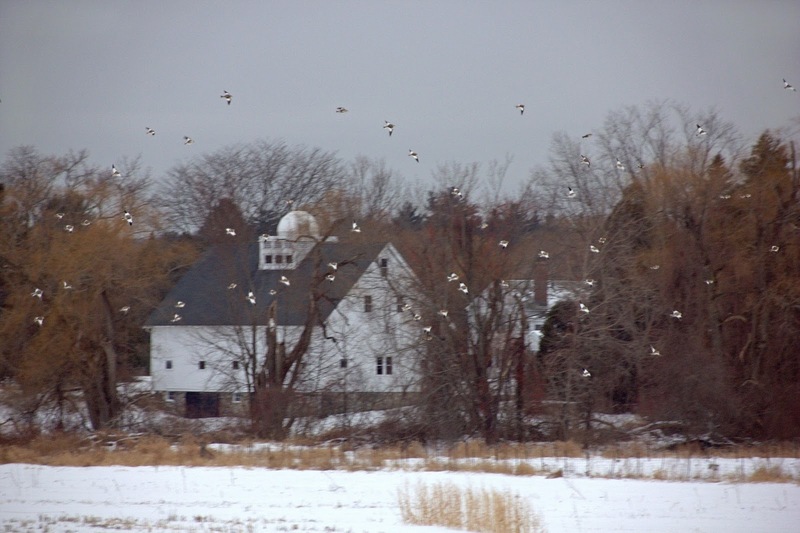 As I was leaving Verrill Farm at 3:45 today white wings flashed against the sky as some 70 snow buntings rippled past and danced above the fields behind the farmstand. I wheeled back into the parking lot to watch their synchronized flights and feeding and enjoy their chatter. 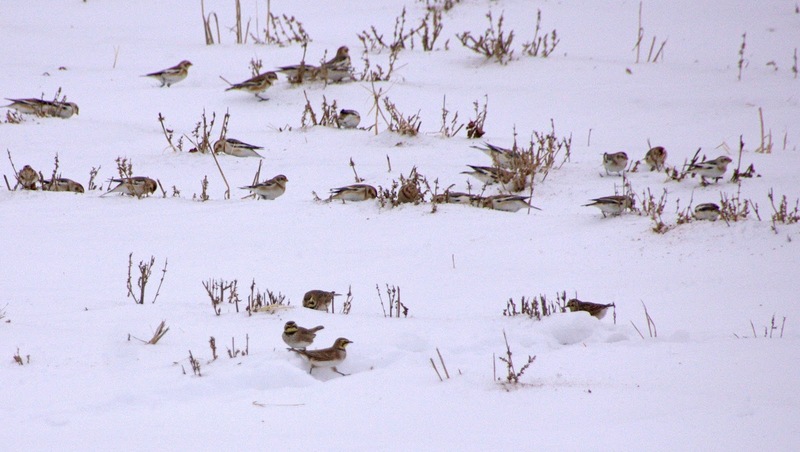 Snow buntings often travel with lapland longspurs and horned larks. This flock had about 20 horned larks in the mix. 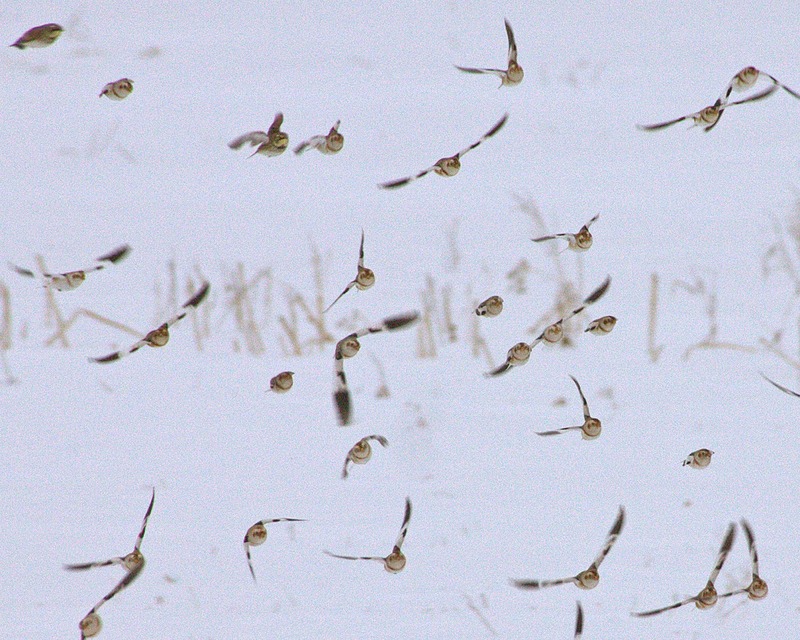 Photographing snow buntings for me has thus far been a serendipitous experience. They often appear by surprise and efforts to frame their constant movement yield surprising results. I agree! 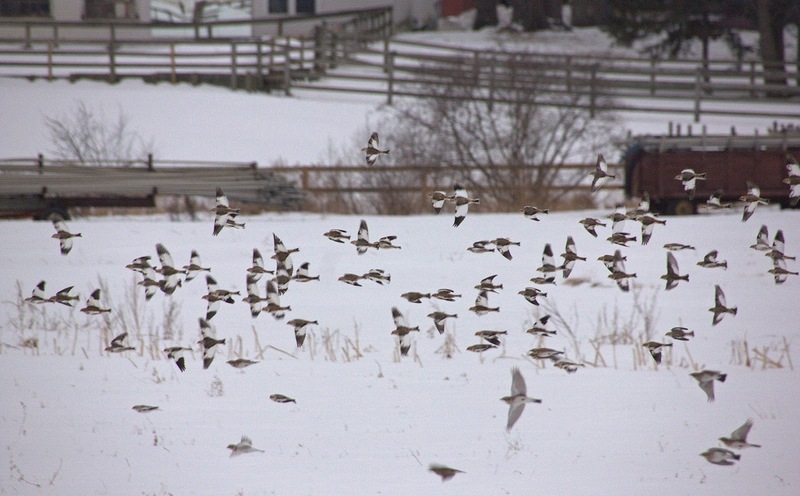 I love Snow Buntings! These photos are great! I love your blog! I went through a few of your latest posts this morning, and I can't wait to have the time to read more. Thanks for the great pictures and writing. Thank you both! Hope to make the time to post more soon.